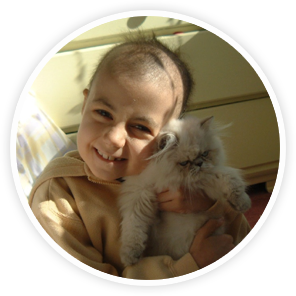 A memorial page gives family and friends a lasting place to share memories and support a cure for childhood cancer. You can create a memorial page to honor, remember and share stories and photographs of those we love and have lost. Your loved one's memorial page captures the essence of who they were and provides a place to share your cherished memories. A memorial page can be built over time; you can share your initial feelings, then you can add stories, recollections and even photographs. Memorial pages provide a wonderful way to preserve memories for future generations of friends and family, remember favorite moments and let loved ones know about memorial services. Share information about your loved one and any special memorial plans. Customize your memorial with favorite images. Invite friends and family to make a donation or participate in special memorial plans.